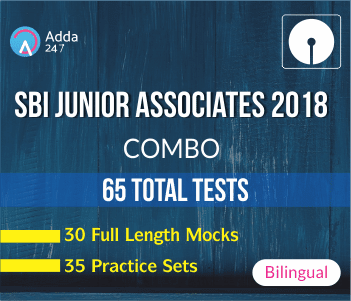 ADDA247 brings to you the online Test Series for SBI JUNIOR ASSOCIATES PRELIMS and MAINS Exam and this test series has been launched to help the banking aspirants across the country make the grades in SBI Clerk 2018 Examination. As SBI has already restricted the time limit to do each Section within a time limit of just 20 minutes in the Prelims exam, you really need to break your back in order to attain good or say qualifying marks in the examination. SBI, that has always been known for changing the pattern of its Exam and with the introduction of sectional timing in prelims examination, SBI has blown everyone's mind once again with an exorbitantly changed pattern of SBI Clerk Pre Exam 2018. But you can definitely bring the house down if you attempt SBI Clerk Mocks on a regular basis, as the pattern of the SBI Clerk Mains Exam still remains the same. 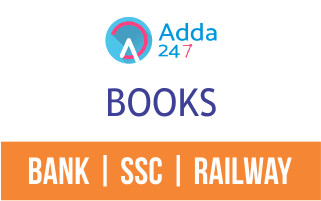 What makes the Adda247 SBI Clerk 2018 Combo Package the best self-assessment kit is an apposite difficulty level of the tests, the precision of questions as well as their solutions, the number of tests being provided in this particular package and the updated version of mocks that goes in accordance with the new pattern of the SBI Examination. Here are the special features of Adda247 SBI Clerk Prelims 2018 Combo Package. Our package incorporates a total of 65 tests that are available in a bilingual mode with detailed solutions. The step by step explanation with the 24/7 access, helps student develop better and effective problem-solving techniques. The package also provides one with BI-MONTHLY GENERAL AWARENESS PRACTICE SET that will be available only in English. The mock tests incorporated into the package are prepared by the faculties and subject experts who have been guiding and letting the banking aspirants make a headway in their career for years. The difficulty level of Adda247 test series simulates the exact same level of the real examination and detailed VIDEO SOLUTION (Only for Full-length mocks- English, Reasoning, Quant Sections) are also provided for a better learning experience. Note: GK Update Practice Set available in English Medium Only.